Our company has existed since 1978 as a family company dedicated to beekeeping and bees. In 1991, we began to produce meads, which are the foundation of our business. 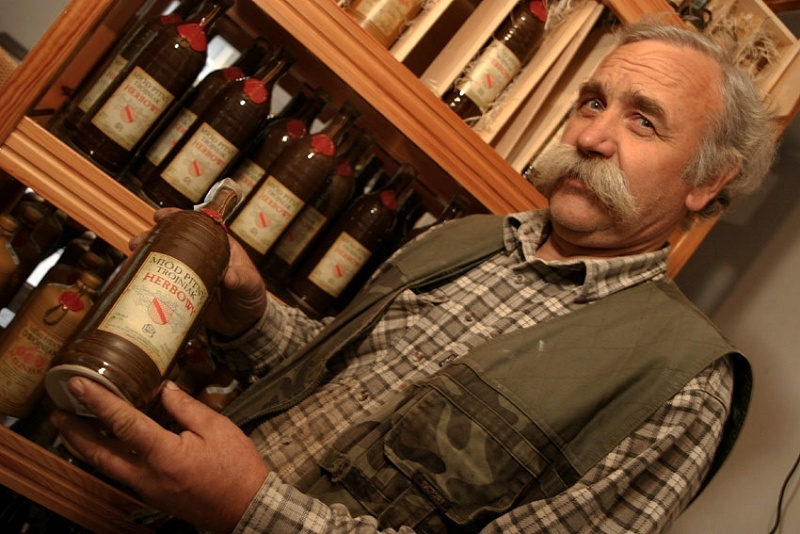 Our production technology has been built on the solid basis of old Polish traditions and recipes. The company employs 16 people. The owner is Maciej Jaros. His son, Marcin, is the chief technician. Marcin’s wife, Monika, is in charge of the quality control department and the laboratory. Another son, Bartłomiej, handles the technical department. A second section of the company deals in the production of useful and decorative ceramics (packs of honey and mead, honey drinking vessels, etc.). Our meads are produced with natural methods, without preservatives, enhancers, artificial colors and flavors. The raw material for their production is bee honey, water and herbs. Its outstanding and unique taste is reached during several years of aging. We were first in the production of fizzy mead. „Lipiec Perlisty” is named due to the length of time it takes for the honey to ripen (a few years). It was subjected process of saturation. For several years, we’ve successfully taken part in the Mazer Cup, an International Mead Competition in the U.S. (Boulder, Colorado).